Falling into the heart of the mausoleum Auchindoun, the Shadow Council lieutenant Teron’gor gorged upon hundreds of draenei souls, becoming a bloated abomination in the process. More than just an orc now, Teron’gor gave up his old name and has taken a new one: Gorefiend. /rw BL/TW when boss does Feast of Souls and stack in front of him for better heals. /rw when inside the stomach nuke/heal adds before they reach middle and focus Enraged spirit when he spawns. /rw when adds are outside: Melee on Gorebound Spirit and ranged prio Construct and help melee as well. During the encounter, players will be marked for death, and when they die their spirit is eaten by the boss. Inside Gorefiend, players have maximum 40s to attack the souls and heal Tortured Essences and get iut, otherwise they get digested. Souls that are killed or released will reduce Gorefields energy and makes him want to eat souls to get the energy back and then is starts over again. Melee stay spread from middle to the left side of the boss. 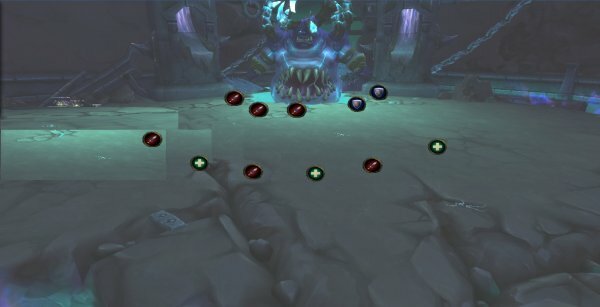 This shadow is what will kills the players in order to enter the stomach of Gorefiend. Players get randomy hit by it. BUT, if you die the normal way you will also get sucked into his stomach. Just follow the mechanics of the fight and enter the stomach when the boss uses this ablity on you. TO many ppl inside the stomach may lead to boss wipe since the small amount of players outside stomach will have trouble killing the adds and survive boss mechanics. 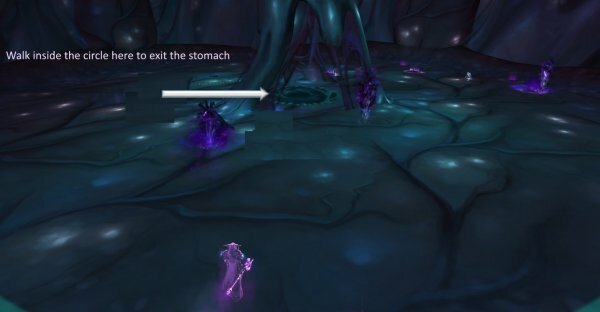 Even if you die and run out from stomach you will have a 3 min debuff that doesnt let you enter the stomach, leading to that same ppl may get Shadow of Death and this time they actually die instead. Kill the adds and healers heal special adds before they reach the middle which will make them free outside and attacks players outside. When a tank is inside there is one Enraged Spirit mob to tank and must be interupted. Leave the stomach by entering the middle area (You have 40s to be in there before digested so leave when there are some sec left). When players are dead they are spirits inside Gorefiends stomach. After 40 seconds Gorefiend will Digest anyone inside causing over 1,5 million in dmg. Players that have been inside gets a debuff called Gore fiend’s Corruption meaning that same player can´t enter again for 3 minutes. So after killing adds inside the stomach players have to exit the stomach by stepping on the middle circle inside the stomach. Run out before 40 seconds have passed. Gorefiend does Moderate Shadow damage on players. The further players are standing the less dmg. This will be followed by Doom Well wich creates a small pool underneath players that does moderate dmg every second. You have 5 seconds to run to Star which is on the edge furthes away from boss. Wait there until the pool is created then move back to your posiotion again. Several players (3) will get this touch and the pool will be there during the entire fight. So place the pools next to eachother along side with the edge. Dont place it anywere else, since players needs as much space as possible in the platform. Gorefiend will target 3 players. One get´s rooted and the other 2 have a link with the rooted one. To break this bond these players need to stand on the rooted player. While linked, these players are affected with Shadow dmg every 2 seconds. 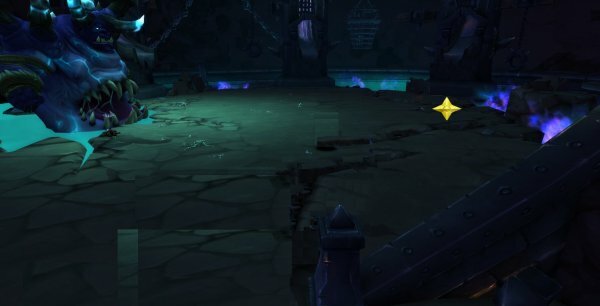 HOTFIX: Gorefiend no longer uses Shared Fate on Normal or Raid Finder difficulty. 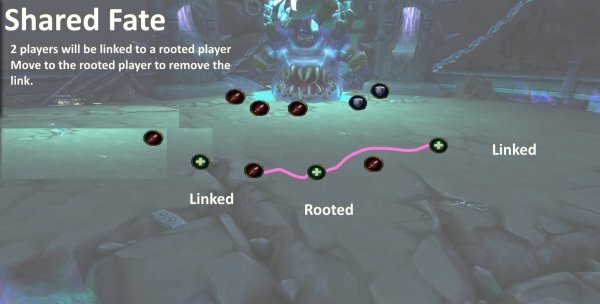 If you are linked, run fast to the rooted one to break linkage. All players will emit a pulse that does low/moderate dmg within 5y. Gorefiend creates chain explosions that inflicts high damage to enemies close to it (4y). Before the explosion, markings will come on the ground to warn were the explosion will take place. The chain explosion is half circel shaped and you can stand anyweere (inside or outside the circle) execpt on the actual markings. After explosion move back to your position. When Gorefiend is low on energy he recharges it for 1 min. During this time his defense is lowered and increases dmg taken on him by 100%. Healers and tanks runs around and touches the unstable orbs. All dps focus on boss and use all offensive cd´s here. Inside Gorefiend, players have maximum 40s to attack the souls and heal Tortured Essences and get iut, otherwise they get digested. Souls that are killed or released will reduce Gorefields energy and makes him want to eat souls to get the energy back and then is starts over again. Adds are divided in 2 phases. When adds are killed/healed inside the stomach, they are released and summoned outside Gorefiends Body. This add moves to the center of the stomach to get out to get empowered. Nuke as many of these adds as you can before they reach the middle. Otherwise they come out and will do dps to the raid. This add can’t be nuked. Instead healers will heal it to 100% to stop it from coming out. This add has 4 abilities. One of them is super important, the Bellowing shout. This ability gives the add 300% increased dmg for 9 seconds. Can be interruptible. Does moderate fire dmg on melee ranged players and leaves a fel fire pool that does dmg over time. When he has 70% Hp left, he slams nearby players and runs out. Gives him 90% reduced dmg. When you are inside the stomach, nuke adds and prio Enraged spirit when he spawns. Very important to interrupt the Bellowing Shout. Inside and outside stomach. When he runs out, tank follow him fast and tank him outside stomach. If this add gets out from stomach, it will fixate a random player. Start walking slow, and increases speed over time. IF reaching the player, it does overkill dmg and aoe dmg 10y. HOTFIX: Gorebound Construct’s Hunger for Life now only affects the fixated target on Normal difficulty. Ranged nuke this add asap. Prio this add. Does low dmg on players and reduce movement speed by 50%. Ranged players nuke this add. This add is prio number 2 after the construct is dead. Very important to interrupt EVERY Bellowing Shout. 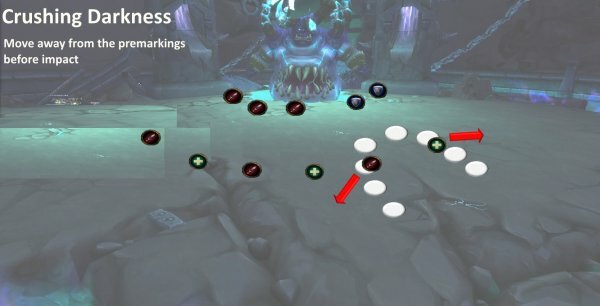 Every attack (on tank) does fire dmg ever second for 4 seconds and stacks. This is the tank switch ability. Tank swap after 5 stacks. The one not tanking the tanks boss. He charges the target (tank) and does high dmg and stuns for 2 seconds. Tank, Use mitigation spells before he charges.